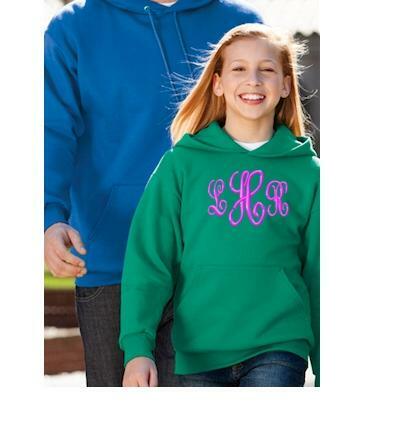 We just love our new sweatshirt colors! 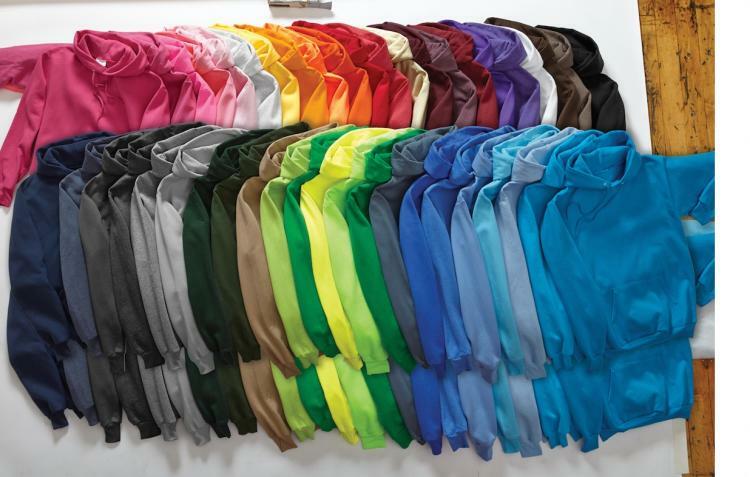 From solids to neons to heathered, we have every color of the rainbow! 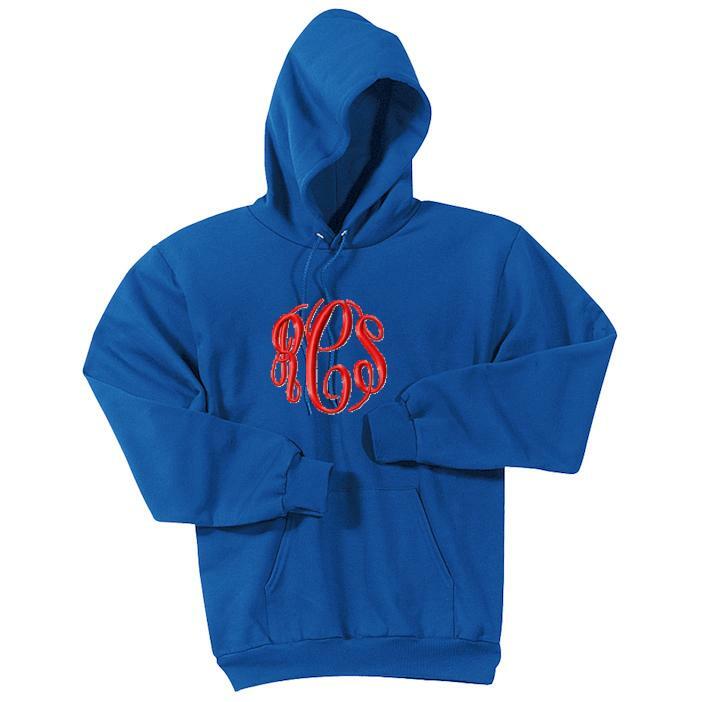 We have added the large embroidered monogram on the front of the sweatshirt. 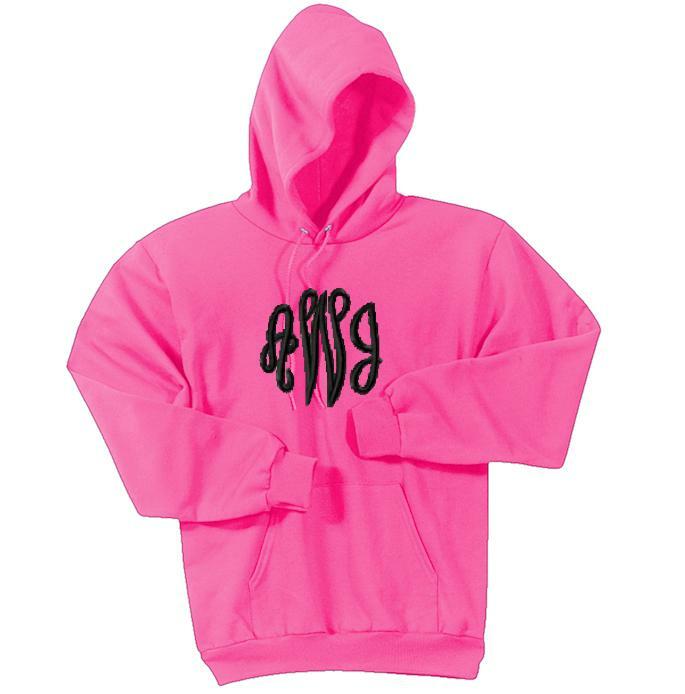 Most monograms will be about 5 inches tall and width will vary; please note that this is a larger monogram, so the font choice may affect the monogram size. Please allow about 2 weeks for delivery on these sweat shirts. Please note the sizing when you order. We can not refund the product once it has been monogrammed. The sample shown is in the Pendant Monogram Style (as seen on Pinterest) in our Sangria colored sweatshirt and Kelly green thread. These sweatshirts run large and are unisex sizes. Details: Crafted for comfort, this lighter weight sweatshirt is perfect for relaxing and running errands or going to class. Note: Unisex sizing so these run larger than most. Please review sizing chart when making your selection!